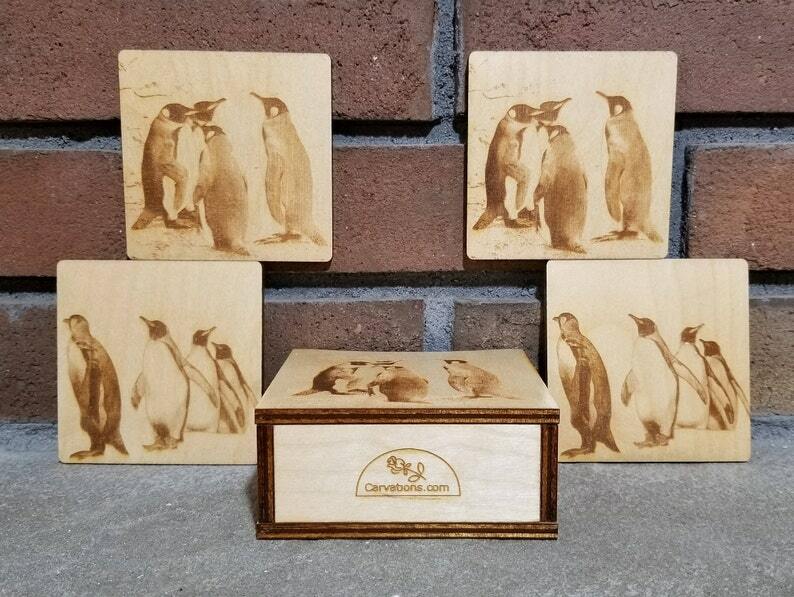 This complete coaster set contains four coasters with two different Emperor Penguin images as well as a storage box. 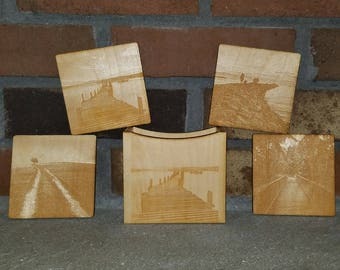 This is an awesome set of high quality coasters. The images are very clean and I was surprised with the box! It's very durable and including the images from the coasters was a great idea. 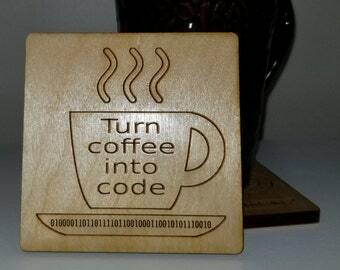 Coasters are used for both hot and cold drinks and have had no issues simply wiping them off if need be. 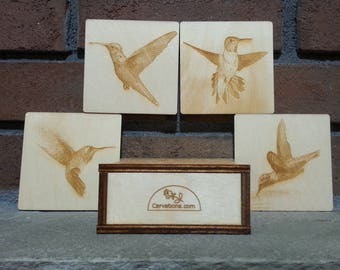 These coasters are beautifully made with exceptional attention to detail. Jennifer and Jason were very flexible with image selection, and I love the final product! The edges are very smooth, and the nonskid feet on the bottom make sure they stay in place on the table. The matching storage box is lovely and such a nice touch. The shipping was very fast and the communication was excellent!